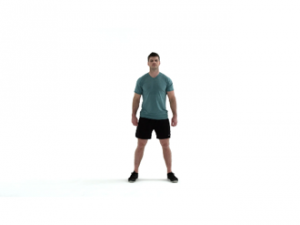 Stand tall with your feet wider that hip-width apart. 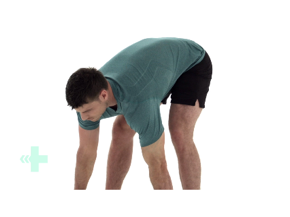 Bend forward at the waist to grab your toes with your hands. Drop down into a deep squat while keeping your arms straight, elbows inside your knees, back flat, and chest up. While holding your toes, raise your hips back and straighten your knees until you feel a good stretch in the back of your legs. Reverse the movement pattern and return to the starting position.